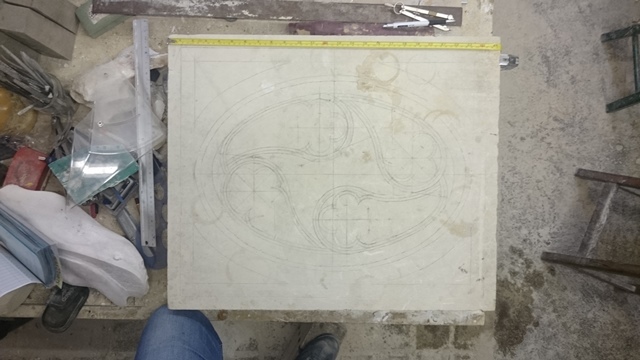 I have decided to design a tracery panel in the shape of an ellipse with 4 angels flying around the centre. 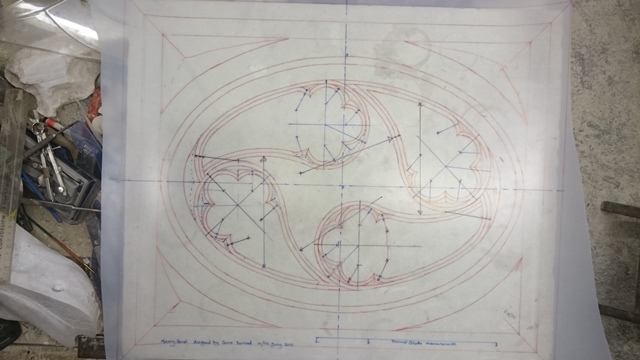 It is important to flex my technical drawing ability and show you the other side of my creativity. 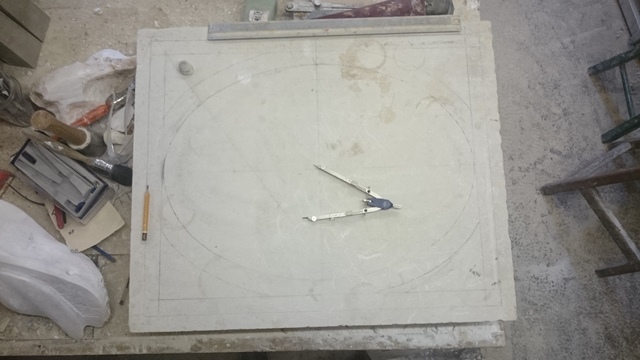 I have started with the compass method to draw the ellipse but I didn’t like the way the ends curved so I decided to use the trammel method which gives a much more satisfactory shape and is pretty straight forward. 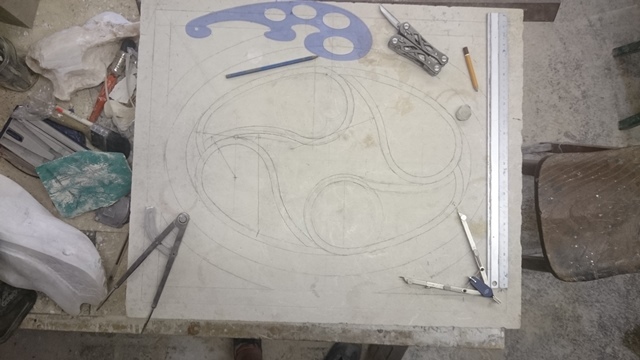 Once I had the outline in place I was able to put in the extra lines to identify where the levels will be and ultimately drop down to create the shapes. The Angels follow the shape of the ellipse and dead eyes naturally appear. I have created the section (imagine a slice of cake) which gives me the various layers. This is a project that I will be working on between commissions but I will update with more photos when I have something to show you. The stone is Portland limestone-ideal for good crisp edges.